Moving to Norway takes some serious planning, whether you're crossing the border from Sweden or flying across the globe. These resources will guide you in the right direction for every essential expat need. Is there something missing? Let us know! 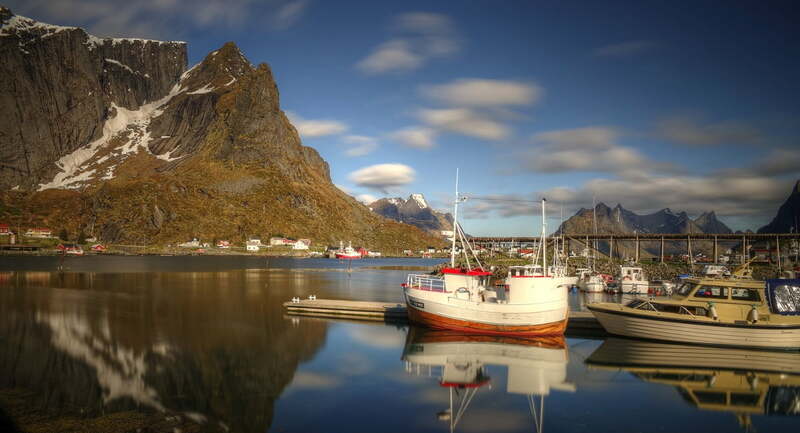 Stay up to date with all things Norway with our once-weekly email newsletter. Norway Weekly is designed for English-speakers both in Norway and around the world with a passion for all things Norway and Scandinavia. We do not employ anyone ourselves, but we do publish a job board on which we list a range of English-language vacancies from across Norway. Click here to start your search today. If you prefer to learn via stories, try this new Norwegian course called The Mystery of Nils. Each chapter of the book advances the fun story while teaching you new aspects of the language. You can start today for just 197kr per month, a great deal cheaper than in-person lessons. PureVPN offers the ultimate in online security, and flexibility for online streaming. Forget about the annoying buffering icon that kills your joy while you stream your favourite TV Shows and Movies. PureVPN has optimised servers that are strategically placed worldwide to give you the best and the fastest streaming speed on all devices all the time! When connected to PureVPN, your internet connection and the devices using the internet are protected against all kinds of online security and privacy breaches. Click here for a great deal. Do you need legal advice, or an accountant to help with your business or personal finances? We've teamed up with a leading Norwegian professional services provider to help you get the best person for your needs at the best price. Once you've opened a Norwegian bank account you'll need to transfer money from your home country. You can do this with your bank, but you'll be losing out on a huge amount of money. By using the money transfer service from CurrencyFair, you'll save money and get it faster. Travel insurance from WorldNomads.com is available to people from over 150 countries. It’s designed for adventurous travellers with cover for overseas medical, evacuation, baggage and a range of adventure sports and activities. By focusing on what you need and leaving out what you don't, World Nomads prices are some of the most competitive online. Don't delay: book your travel insurance today. We have partnered with a leading online booking service to offer you flights to Norway, from Norway, and all around the world. Our service searches travel and airlines sites to help you find the best prices for your journey, wherever they are hiding. We've partnered with Booking.com to bring you the very best deals on hotels not just in Norway, but around the world. With more than 1 million beds worldwide from luxury ski lodges and beachside resorts to budget-friendly hostels, visit Booking.com for all your accommodation needs.